In the 15U division, Team Rio National, a team that consists of a group of the No. 1 eighth-grade team in the country, steamrolled through the older competition to win the championship. In the 16U division, there were plenty of great players on teams such as Rock Elite, Albany City Rocks, New York Lightning, SportsU and the NY Rens. The championship game featured the Lightning vs. the City Rocks, a battle that is likely to be seen on the Nike EYBL circuit. The game featured a good matchup between both teams, but the City Rocks emerged victorious, winning the title by a 12-point margin, 77-65. In the 17U Silver Division, NJ Got Game rolled through the competition and won the title. The 17U Gold division went down to two AAU powers from the New York City area, the Juice All-Stars, who are sponsored by Under Armour and the NY Rens, who are sponsored by Adidas. Both teams had talented players on their sides and it was a physical battle throughout. Despite not having players such as Rawle Alkins, Mustapha Heron and Devonte Green, the Rens were still very talented with the services of Jose Alvarado, Tyrique Jones, Jared Rivers and Tyrin Flowers. That quartet helped the Rens get through a hard-fought battle with a 10-point victory, 87-77, and the 17U Gold division title. Walter Whyte, (St. Luke’s School, CT/High Rise Elite), Class of 2017 – White is a two-guard who is very athletic and plays above the rim. He holds offers from Sacred Heart, Binghamton, San Diego and VCU. Kylan Guerra, (Kent School, CT/New Heights), Class of 2016 – Guerra is a guard that can handle the ball. Deceptively fast. Nate Pierre-Louis, (St. Benedict’s Prep, NJ/SportsU), Class of 2017 – Athletic, can get to the basket easily. Finds ways to score. He holds offers from Rhode Island, Dayton, Cincinnati, Florida State, Seton Hall, Creighton, Rutgers, Wagner, Penn State, St. John’s, Temple, Miami, SMU, UConn, Iowa State and TCU. Sammy Friday, (Hudson Catholic, NJ/Sports U), Class of 2016 – Friday is a big that is a good rebounder. Does good work in the paint. He holds offers from St. Peter’s, St. Francis (NY), Wagner and Holy Cross. Howard Washington, (Montverde Academy, FL/Albany City Rocks), Class of 2016 – Washington is a natural floor leader. Knows how to direct a team on the court. Can also shoot the lights out. He holds offers from Xavier, Wake Forest, Miami (FL), Boston College, Memphis, Virginia, Virginia Tech, Dayton, UPenn, Boston University, Canisius, George Washington, Siena, Buffalo and Rice. Kevin Huerter, (Shendendowa, NY/Albany City Rocks), Class of 2016 – Huerter is a guard that moves well off the ball. Great shooter. He holds offers from Xavier, Rice, Marquette, Maryland, Miami, Texas Tech, Penn State, Baylor, Iowa, Creighton, Notre Dame, Syracuse, Duquesne, UAlbany, Davidson, George Washington and Siena. Quinton Rose, (Bishop Kearney, NY/Albany City Rocks), Class of 2016 – Rose is a very athletic. Knows how to jump out the gym. He holds offers from Wake Forest, Miami, Penn State, Rhode Island, Seton Hall, Northwestern, SMU, Minnesota, St. Joseph’s, Richmond, Memphis, Providence, George Washington, St. Bonaventure’s, Temple and Buffalo. Tariq Ingraham, (Salesianum, DE/Team Rio), Class of 2019 – Ingraham is very mobile, has good size, good rebounder, efficient shot blocker. Bryan Antoine, (Ranney School/Team Rio), Class of 2019 – Antoine is a good shooter, can knock it down from long-range, is a scoring machine, also plays above the rim. Is a nightmare defender also. Cole Anthony, (Team Rio), Class of 2019 – Anthony is a good ballhandler, knows how to run a team, clutch free throw shooter. Also knows how to get to the basket and score. Scottie Lewis, (Ranney School/Team Rio), Class of 2019 – Lewis is a good rebounder, can post-up players in the low post, great at going to the basket, very athletic on both ends of the floor. Also knows how to get his teammates the ball. Jalen Gaffney, (Pennington School, Team Rio), Class of 2019 – Gaffney is a pure scorer. Is able to score in many ways. Chauncey Hawkins, (St. Joseph-Montvale/Rock Elite), Class of 2017 – A point guard that knows how to control a team. Gets back on defense very quickly. Lightning-fast. Justin Minaya, (Northern Regional Valley Old Tappan, NJ/Juice All-Stars), Class of 2017 – Minaya is very athletic on both ends of the floor. Can get to the basket with ease. A great penetrator. He holds offers from Vermont and Boston University. Leondre Washington, (Teaneck, NJ/Rock Elite) – a scoring guard with nice ball handling skills. Always looks for the open shot. Knows how to get the ball to his teammates with precision. James Leible, (St. Joseph’s Prep, PA/NY Lightning), Class of 2018 – Leible has good athleticism and is known for playing above the rim. Tyler Bourne, (Abraham Lincoln, NY/New Heights), Class of 2018 – Crafty point guard that makes good decisions with the ball & has a good selection. An efficient ballhandler. Is quick on offense. He holds an offer from Iona. Jamier Pugh, (Thomas Jefferson/NY Lightning), Class of 2018 – Pugh is a good scorer despite small size. Knows how to distribute the ball to teammates for assists. Has good shot selection. Quick & deceptive. A lot of heart. Joel Mensah, (Redemption Christian Academy, NY/NY Lightning), Class of 2018 – Solid big man in the paint. Very mobile when it comes to rebounding and scoring. Matt Turner, (Blair Academy, NJ/NY Lightning), Class of 2017 – Lights-out scorer. Has a good shot a selection and can do damage from anywhere on the floor. Nate Mensah, (Redemption Christian Academy, NY/NY Lightning), Class of 2017 – Dominant in the paint & plays above the rim. Athletic on both ends of the floor. Myles Mitchell-White (Lawrence, NJ/SportsU), Class of 2017 – Mitchell-White is lightning-quick & can get to the basket at will. David Kachelries, (Emmaus, PA/SportsU), Class of 2017 – Tough guard that can score & also play solid defense. Knows how to run a team. He holds offers from Fordham and Binghamton. Jared Simmons, (Newington, CT/NY Lightning), Class of 2017 – Natural scorer. Can easily get to the basket & also shoot from deep. Jahlil Tripp, (Abraham Lincoln, NY/Juice All-Stars), Class of 2016 – Tripp is a potent scorer. Gets to the basket with ease. He holds offers from UNC-Wilmington, Fairfield, Quinnipiac and Manhattan. Anthony Lamb, (Greece-Athena, NY/Albany City Rocks), Class of 2016 – Lamb is a good rebounder, is tough in the paint & finds ways to score in the low post. He holds offers from Robert Morris, Stony Brook, St. Joseph’s, Iona, Fairfield, Canisius, Buffalo and Charlotte. Cori Johnson (South Shore, NY/Juice All-Stars), Class of 2016 – Johnson is a dominant big that can do plenty of things in the post. Jared Rivers, (Christ the King, NY/NY Rens), Class of 2016 – A player that can score in bunches. Has a good ballhandling skills & is aggressive at going to the basket. He holds an offer from Maine. Rakym Felder, (The Patrick School, NJ/Juice All-Stars), Class of 2016 – good passer & an efficient scorer. Always finds a way to get teammates involved. He holds offers from Temple and Quinnipiac. Tyrin Flowers (Sacred Heart, CT/NY Rens), Class of 2016 – A solid big that run the floor & finds plenty of ways to score. Good rebounder. Tyrique Jones, (Vermont Academy, VT/NY Rens), Class of 2016 – Dominant in the paint. Very tough & can dominate on both ends of the court. He holds offers from Florida State, Temple, Kansas State, Auburn, Pittsburgh, Nebraska, Rhode Island, Texas Tech, Charlotte, Minnesota, VCU, UMass, Providence, Xavier, Boston College, Cincinnati, UConn. Jordan Walker, (Long Island Lutheran, NY/NY Lightning), Class of 2017 – Speedy & crafty little point guard that is not afraid of going into the lane to score. Nahziah Carter, (Bishop Kearney, NY/Albany City Rocks), Class of 2017 – Very athletic and very versatile on the floor, plays above the rim. 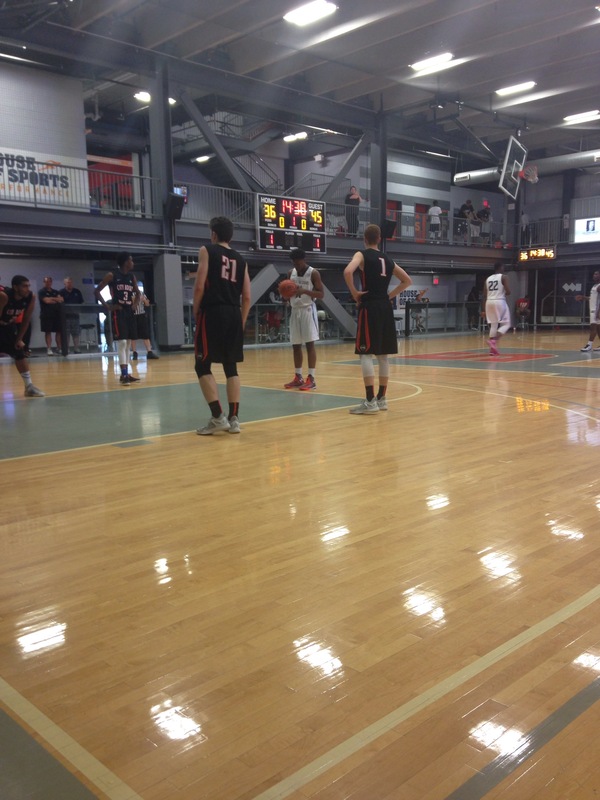 Ryan Preston, (South Shore, NY/NY Rens), Class of 2015 – Very powerful in the low post. He also plays above the rim and is adept at rebounding. Jose Alvarado, (Christ the King, NY/NY Rens), Class of 2017 – Alvarado is a guard that can do many things on the court. He makes great assists and is also able to score when needed to. He is a consummate point guard. He holds offers from VCU, Seton Hall, Hofstra, Iona and Fordham.